Under California Penal Code Section 368 PC, the crime of elder abuse can involve a variety of criminal behavior that is targeted at people who are 65 years old or older. Elder abuse can involve physical or emotional abuse directed towards the elderly, neglect or financial exploitation. 1. The defendant willfully or with criminal negligence subjected an elderly person to unjustifiable physical pain or mental suffering. 2. The conduct occurred under circumstances likely to produce great bodily injury or death. 3. AND the defendant knew or should have known the victim was 65 years old or older. 1. The defendant committed a financial crime, such as theft, fraud or embezzlement. 2. The property stolen belonged to a person who is 65 or older. 3. AND the defendant was a caretaker for this person or otherwise knew or had reason to know that the victim was elderly. Elder abuse can be a continuing course of conduct or a single, isolated event. This Penal Code section also covers dependent or vulnerable adults who are unable to provide care for themselves. A man runs a senior housing facility where numerous violations are suspected. An undercover investigation reveals that the senior residents are often not properly fed and bathed, occasionally receive the wrong medication, and live in a facility with improper heating and broken windows. The man could be charged with felony-level elder abuse even if none of the residents are seriously harmed, because he was criminally negligent and created circumstances likely to cause great bodily injury or death. In another example, a man works as a caretaker for an elderly woman. The woman receives dividend checks from various stocks she owns, and relies on the man to deposit the funds for her. The caretaker has been embezzling some of the money and keeping it for himself. This man could be charged with elder abuse in violation of California Penal Code Section 368 PC in addition to embezzlement in violation of California Penal Code Section 503 PC. 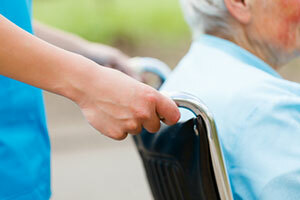 In many cases, an elderly person can be injured or harmed even where there is no criminal negligence. In these cases, the person accused of elder abuse may have a valid accident defense if he or she is charged criminally, as long as the defendant was not criminally negligent. In addition, this is an offense that is highly susceptible to false accusations. A victim may suffer from senility or dementia and can accuse his or her caretaker of various offenses, which may or may not be true. In these cases, it is important to consider the condition and mental faculties of the accuser and to see if there is any objective incriminating evidence. Elder abuse is a "wobbler" offense that can be charged as either a felony or a misdemeanor, depending on the degree of harm or the amount of the theft (in financial abuse cases). If charged as a felony, the defendant can be sentenced to up to four years in prison, with an additional three to five years in prison if the victim suffered great bodily injury or died as a result of the elder abuse. Elder abuse is a serious offense that can carry extensive consequences for those convicted. If you or a loved one have been charged with or arrested for this offense, it is very important that you speak with a Los Angeles Criminal Defense Attorney immediately. There may be extenuating circumstances that may cause a prosecutor or police officer to reconsider criminal charges. As a former Deputy District Attorney with over 14 years of prosecutorial experience, Los Angeles Criminal Defense Attorney Michael Kraut is an effective litigator who is highly experienced at defending people charged with elder abuse. Mr. Kraut is highly regarded as a fierce defender of his clients’ rights. For more information about elder abuse charges, and to schedule your free consultation, contact Los Angeles Criminal Defense Attorney Michael Kraut at the Kraut Law Group located at 6255 Sunset Boulevard, Suite 1480, Los Angeles, CA 90028. Mr. Kraut can be reached 24/7 at 888-334-6344 or 323-464-6453.